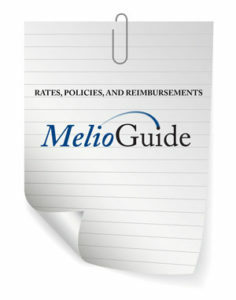 Rates for professional services depend on the package you choose. I offer several package options for you and you can choose the best package based on your needs and finances. All Physiotherapy and Training packages are designed to fit your needs based on the areas identified in the evaluation and your personal goals. Physiotherapy services involve education, therapeutic exercise, massage, mobilization, and taping. My service is private, personalized, and professional. Personal Training services involve education and attention to ensure proper form, safe body mechanics, and selection of appropriate resistance exercises. Together we will determine the format that best suits your needs. If possible, bring along your favourite digital devices. This allows us to take photos and videos of exercises I need you to follow up with. All rates are in CAD (Canadian) dollars. 80 initial assessment minute session. 5 minutes of administrative work. 55 minute physiotherapy, office ergonomics, or personal training session. 70 minutes for travel and admin. 55 minute phone or Skype consultation. 25 minute phone or Skype consultation. An Initial Assessment may not be required depending on the topic or issue but most new clients do require one. You will complete several confidential online forms and have an 80-minute session with me where I do a physical evaluation. Looking for an exercise program: the Initial Assessment involves a comprehensive 80-minute evaluation of posture, balance, strength, and flexibility. Recovering from an injury or surgery: the Initial Assessment involves a comprehensive 80-minute evaluation of the joints and muscles that are limiting your ability to being pain free and functional. Following the Initial Assessment, you can choose the Program/Service that works best for you. Detailed written report of all findings is available for an additional cost. Online and phone consultation are available for new and existing clients. At the time of booking, please indicate your preference between Skype, FaceTime, or phone. Please note that if you prefer the consultation over the phone, that you will have to call me. I will provide my number once the appointment is set. Payment for Initial Assessment is due on the day of the assessment. Payment for packages is due on the day of the first session. Online and phone consultations must be paid in advance of the session. Cash, cheque (in person), MasterCard, Visa, or PayPal. MasterCard and Visa can be settled through PayPal (no need to set up a PayPal account). Cancellations made within 24 hours are charged full rate. Cancellations due to medical reasons or snow/ice storms are not charged. I am a Physiotherapist registered to practice with the College of Physiotherapists of Ontario. My services are considered Physiotherapy services and are not subject to HST and, in most cases, are covered by employer health coverage plans in Ontario. Please check with your employer.